At the 29th MSC Malaysia Implementation Council Meeting on October 19, the Prime Minister of Malaysia, Datuk Seri Najib Razak, revealed a number of initiatives to accelerate the adoption of digital technology in the country and boost the digital economy. Bernama reported that a “cloud-first” strategy would be introduced to the National Agenda, starting with the public sector. Cloud is expected to enable the government to deliver improved public services without incurring high capital expenditure. The government will also facilitate the adoption of cloud technology by the private sector. Concern over compliance with regulations can be a significant impediment to cloud adoption. According to Bernana, the PM encouraged regulators in sectors such as banking and financial services, healthcare and telecommunications to come up with progressive guidelines which would enable the organisations in these sectors to benefit from the cloud, while complying with regulations. The Malaysian government also plans to develop a National Artificial Intelligence (Al) Framework, an expansion of the National Big Data Analytics (BDA) Framework. This will be led by the Malaysia Digital Economy Corporation (MDEC). In January 2015, MDEC launched the National BDA Innovation Network to progress towards realising MDEC’s vision for Malaysia to be a BDA hub in the ASEAN region. To support the adoption of digital technology by large and mid-tier companies, which contribute 63.4% of GDP (Gross Domestic Product) the government will establish the Digital Transformation Acceleration Programme (D-TAP). The government would establish the Digital Transformation Acceleration Programme (D-TAP) for large and mid-tier companies which contribute 63.4 percent of the Gross Domestic Product (GDP), to accelerate digital adoption. The government will set up Digital Transformation Labs to provide consultancy and assistance for prototyping new digital products and service, the New Straits Times reported. Participating companies will be matched to digital solution providers through the labs. PM Najib Razak also talked about the Digital Free Trade Zone (DFTZ), which was launched in March this year by the PM and Jack Ma, the founder and Chairman of Alibaba Group. The DFTZ initiative is a part of the National E-commerce Strategic Roadmaplaunched late last year. The Roadmap aims to double the country’s e-commerce growth from a forecast Cumulative Annual Growth Rate (CAGR) of 10.8% during the 5-year period from 2015 to 2020 under business-as-usual conditions to 20.8%, through the implementation of acceleration intervention measures. It has three components: an e-Fulfillment Hub, which aims to help SMEs and businesses in exporting their goods easily; a Satelite Services Hub, which will be the region’s digital hub for global and local internet-based companies facilitating end-to-end support; and an e-Services platform, that will manage cargo clearance and other processes needed for cross-border trade. On May 12 2017, the government of Malaysia represented by MDEC signed a three-way Memorandum of Understanding (MoU) with the Hangzhou Municipal Government and Alibaba Company Limited to connect the first e-hubs in the two countries to Electronic World Trade Platform (eWTP) as well as to link the China (Hangzhou) Comprehensive eCommerce Pilot Zone and the DFTZ. 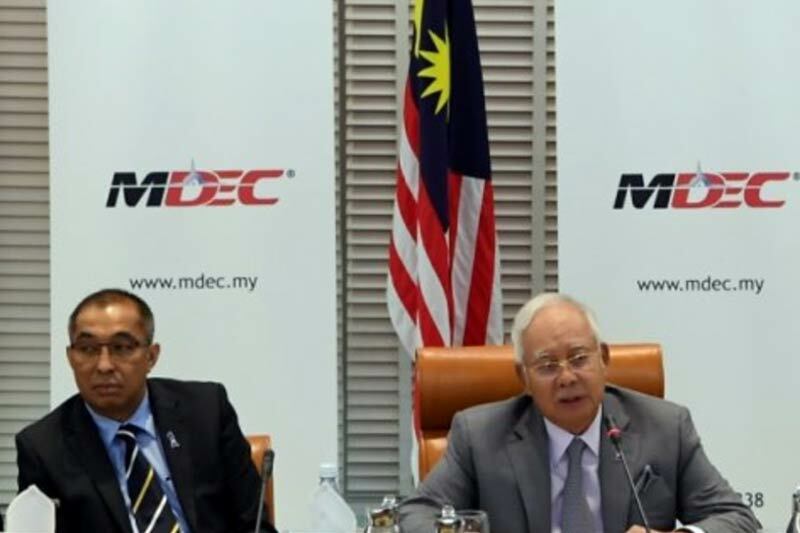 The PM also expressed optimism over the Malaysia Tech Entrepreneur Programme (MTEP). MTEP was launched by MDEC in April 2017 to attract gifted and ambitious individuals from all around the world, and help them to kick-start their startups in Malaysia. The programme is MTEP aimed at tech founders who want to capture the ASEAN market from Malaysia via a 1-year stay or a 5-year stay in the country.